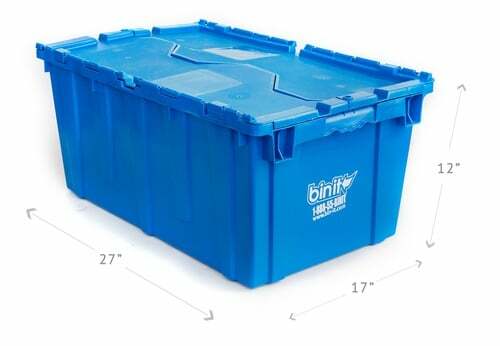 Bin It Bins are made of heavy-duty plastic and measure 27″ L x 17″ W x 12″ H. They have ergonomically designed comfort-fit handles with heavy-duty attached lids that snap shut. They are nestable and stackable to save precious space when storing. Bin It Bins are made in the USA – not shipped from the other end of the planet. 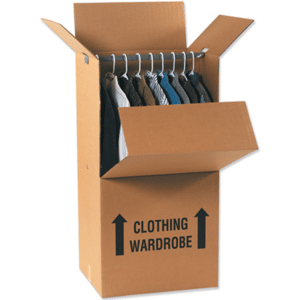 They are easy and convenient and are quickly replacing cardboard as the only packing option when you move. Bin It eco-smart reusable wardrobe boxes are made with very light, weather resistant, ultra-durable corrugated plastic. 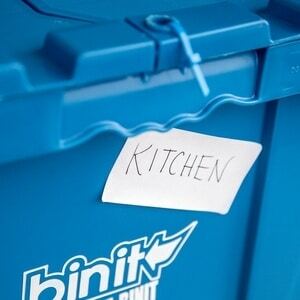 Bin It dollies are custom designed to fit our Bin It Bins. Each dolly has a 500 pound capacity and can easily handle four loaded and stacked Bin It Bins or a full wardrobe. The 4″ non marking casters provide durability and a smooth ride. Bubble Wrap is one of our favorite products. Not only does it provide excellent protection for fragile items like glass cups and plates, but it's also fun for your kids to play with. Bubble Wrap can be purchased for $5.99 per 12 inch by 15 foot roll. 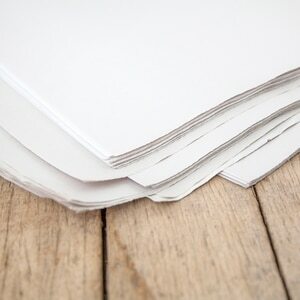 Our Packing Paper is made from 100% recycled newspapers and is biodegradable. It is an alternative to standard wrapping paper and tissue. Use it to wrap drinking glasses and plates and any other valuable items you want to protect. Packing Paper is also useful to fill in the empty spaces in your packed bins to prevent items from moving around. Packing Paper can be purchase for $12.99 for approximately 200 sheets. 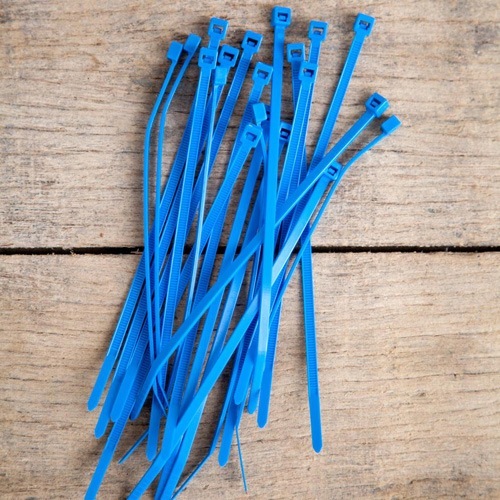 Our Zip Ties are made from recycled plastic and are used to seal the bins once you are done packing them. You just insert them through the specially designed latch on each bin and pull them tight. You’ll never have to fumble around with hard to handle, expensive packing tape ever again. When you are unpacking your bins just cut them off and return them to us and we will recycle them to make more Zip Ties. We include 1 Zip Tie per bin in our packages for free however if you want more, they are available for purchase in the Moving Extras section. Being organized when moving is extremely important and case save you a lot of time when unpacking all of your belongings. While you are in the process of packing your stuff use the labels to write down the content of each bin, the room that content is intended for and the box number to help you keep track and stick it on the side of that bin. We include 1 Label per bin in our packages for free however if you want more, they are available for purchase.